AIM’s Prague Office is one of the largest international event companies in the Czech Republic, providing a full range of services, from DMC to the organization of international, governmental or corporate congresses, conferences, meetings and all other types of events. 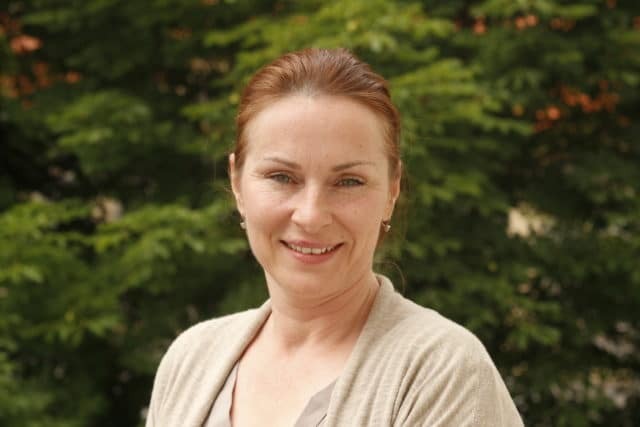 Tereza Havlaskova, the General Manager of AIM's Prague Office, explained all about the Prague's MICE industry. Q: What trends do you think we will see in the meetings and events in your city in the next 12 months? In general, the most significant role in events industry is played by marketing and social media. This technological development has been already the most important trend for last few years and is expected to be even more sophisticated having the crucial impact to each field on this industry playing the key role in further development of congresses and event planning. Besides of this fast technological progress the ability to offer new unique and specific venues, locations, creative programs, and ideas will be the must. In general, the most significant role in events industry is played by marketing and social media. Q: How do you see the relationship between the meetings industry and the tourism industry in Prague? The synergy between both segments is evident here in Prague! Delegates coming for meetings or congresses usually have very limited time and possibilities to discover our beautiful city due to busy agenda during their stay and it is quite common that these are returning back individually with their families or friends motivated from the previous “short” stay to learn more about our culture and to discover all that Prague can offer. Q: How is the city positioned as a meetings destination today and what are its positive attributes that are often overlooked? The biggest advantage of Prague as a meeting destination is its accessibility. Vaclav Havel Airport Prague is every single year offering more connections and also the number of carriers is increasing yearly. High level of infrastructure, as well as the development of hospitality services, is comparable with other big European cities. Attribute sometimes overlooked is that in spite of the fact Prague as the capital city with some 1.300 000 inhabitants is still cozy and compact city and moving between the hotels, congress center, venues, restaurants or various points of interests is very easy and fast! Of course today it is also important to mentioned security and safety. In the long term, Czech Republic is ranked in top 10 among the safest countries in the world. Q: Please name some of the biggest congresses/ events that you organized in the past year. Surely the biggest in terms of importance was the NATO Summit in 2002 when our agency was appointed the official housing bureau for all official country delegations as well as NGOs, observers, and press. During this event, we learned quite a few new things in regards to protocol and security – both at highest possible levels. Q: What are Prague’s congress capacities? Until now the Prague congress capacities were determined by a trio of major venues: the Prague Congress Centre (total capacity 10 000pax, main auditorium for 2 800pax), Hilton Hotel Prague (total capacity 3 200pax, main auditorium for 1 350pax) and Clarion Congress Hotel Prague (total capacity 2 300pax, main auditorium for 1 500pax). Only yesterday a brand new congress center Cubex Centre Prague opened its doors and next year an Universum Complex will be finished. While Cubex is special about its “Chameleon Concept” – allowing all walls to light them in any color chosen by the client, the Universum is exceptional for its size. Thanks to the possibility of linking the newly completed complex with existing O2 Arena on all four planned floors, we can offer a space for up to 28 thousand visitors with plenty of exhibition space, the restaurant of all categories and almost unlimited possibilities for any client’s wishes. Q: How do you see Prague’s meetings industry scene? 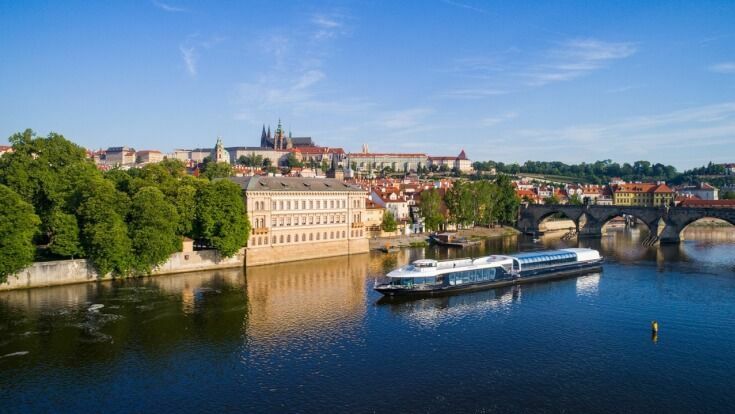 According to the ICCA (International Congress and Convention Association) statistics, the Czech metropolis reached the eighth place in the ranking of the most popular congress destinations. So in quantity, there is not much to improve and in following years we shall focus more on the meeting quality – in terms of services and also in terms of meetings itself. Q: What do you see as crucial marketing elements to lure meeting planners? As already mentioned in previous answers social media and technology are being the most important elements in marketing at all. From our experiences on the other side, we can see that clients are starting again to appreciate personal connections and face-to-face interactions. So the crucial will be to find a right balance between possibilities and power these new media are offering and the way how to deliver the content to customers to make them feel more personally engaged. So the crucial will be to find a right balance between possibilities and power these new media are offering and the way how to deliver the content to customers to make them feel more personally engaged. Q: What are the key challenges for Prague’s event industry, in your opinion? Finding employees with certain soft skills to work with customers is a real challenge for us. The situation on the labor market in the Czech Republic is getting critical throughout all segments. Shortage of qualified professionals available might cause a real problem for future development with negative consequences on the industry. Q: Which are the most popular special venues for MICE in Prague? There are a lot of incredible venues for gala dinners, awards ceremonies, cocktails, meeting or conferences Prague or its vicinity can offer. Always depends on the number of participants, client´s expectations and budget of course. To point out few special venues we can highlight the Industrial Palace, Žofín Palace, Prague Castle, Forum Karlín, Cubex and a very new project Universum. Q: What is cooperation at the destination like? How is it for major candidacies when the whole destination has to work together? Are you satisfied with the promotion? The Prague Convention Bureau is actively helping to invite new meetings to the city and supports the congress candidacies. However, another challenge is to find an active local ambassador, keen to support your candidacy on the scientific level. Being a small country means a small number of Czech scientists in association boards and executive committees, willing and being able to influence the destination choice. Q: What are the biggest opportunities that you see for Prague’s meeting industry? On several occasions, we were assured by local authorities that meeting industry is considered as one of the most important parts within the travel industry and will be supported accordingly. The city of Prague is preparing several investments to make the city even more attractive for new potential clients who are planning to bring meetings or congresses to the destination. At the same time, private investors see also a huge business opportunity and are opening new congress centers or are converting properties to suitable venues which could host such events. All these steps are making Prague even more competitive with other destinations and situation for meeting industry should be even better from this perspective. The city of Prague is preparing several investments to make the city even more attractive for new potential clients who are planning to bring meetings or congresses to the destination. Q: Which are the most popular Incentive programs in Prague? Due to the fact that Prague belongs to the most beautiful historical cities in the world, the most popular places to see are the highlights as Prague Castle, Lesser Town, Old Town with Jewish Quarter, Astrological clock and many others. Talking about the teambuilding activities, very popular is graffiti painting on the Lennon Wall in the Lesser Town, I-pad tours through the city center. The clients enjoy also thematic tours, such as the Beer hunt, discovering various tastes of our national product and Film tour, discovering different venues and historical building of international films which were shot in Prague. Q: How do you see the collaboration of Prague’s PCO’s, DMC’s, hoteliers and other stakeholders? Partnerships, collaborations, and communication are essential in our industry. Of course there will be still a certain kind of independence and each subject will be building its sales strategy independently according to its core of business and primary interests but the only powerful and effective possibility on how to promote and sell the destination is in creating strategic partnerships not only on the national level but on the global level as well.